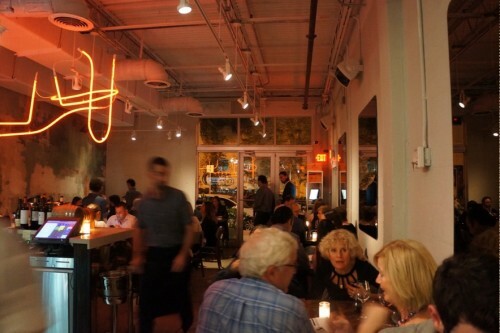 Located in the trendy Wynwood neighborhood, Alter (@altermiami) is one of the hottest restaurants in Miami at the moment. And for good reason! We made a reservation for a Friday evening a few weeks earlier and we were only able to get a 9:45pm reservation. We arrived promptly to find the restaurant packed with a crowd of people waiting outside. Despite our reservation we still waited 15 minutes before we were seated. The interior of the restaurant has a minimalist industrial feel to it with all the concrete and high ceilings. There’s an open kitchen at the back of the space which features several seats overlooking the kitchen. 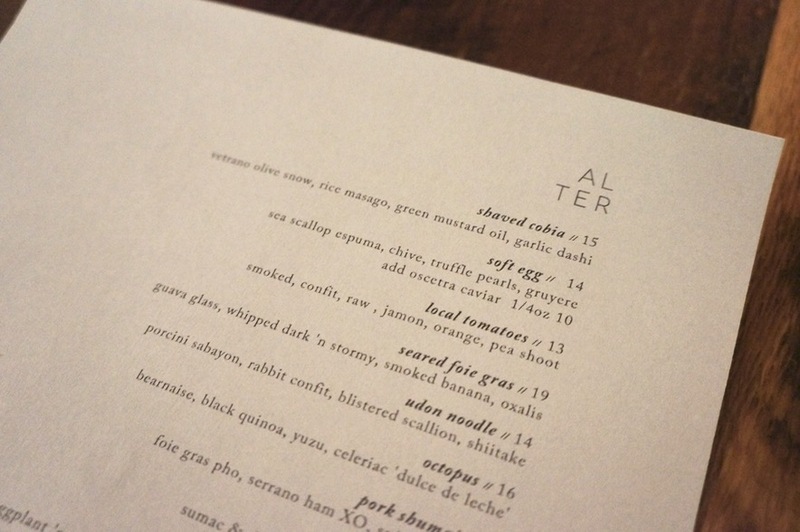 Alter is brought to us by the talented Chef Brad Kilgore who’s resume includes experience at fine dining restaurants including Chicago’s Alinea. Most recently, he was the Executive Chef at J&G Grill (Jean-George’s restaurant in Bal Harbour). 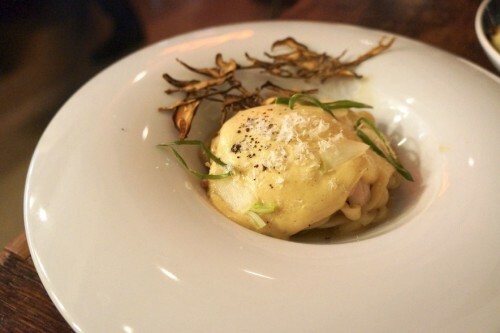 We started out with the obligatory Soft Egg – sea scallop espuma, chive, truffle pearls, gruyere ($14). You can add a ¼ oz of oscetra caviar for $10. 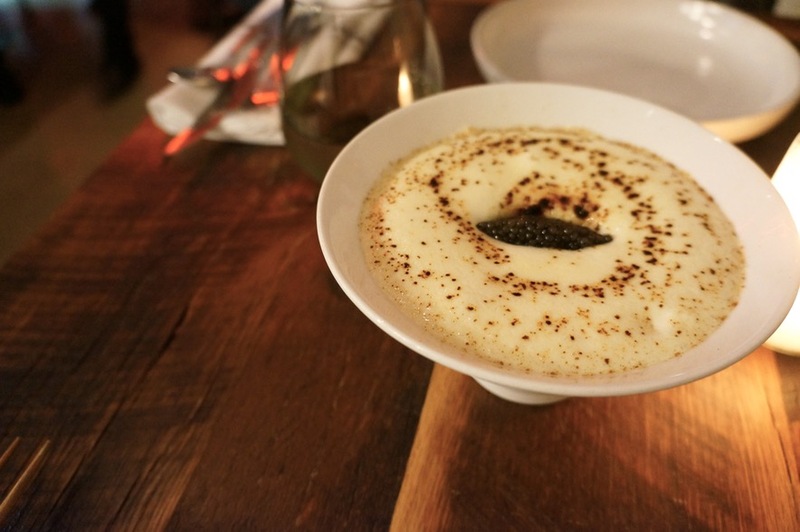 We were on vacation, so of course we added caviar (gotta love being on vacation!). If you do a quick Google search on Alter, you’ll quickly realize that this is a must-order. The soft, gooey egg was covered in a fluffy scallop foam and truffle pearls. It was incredibly decadent and one of the best things I’ve eaten this year. We wanted some bread to accompany the dish but we had a late reservation so they had unfortunately run out. 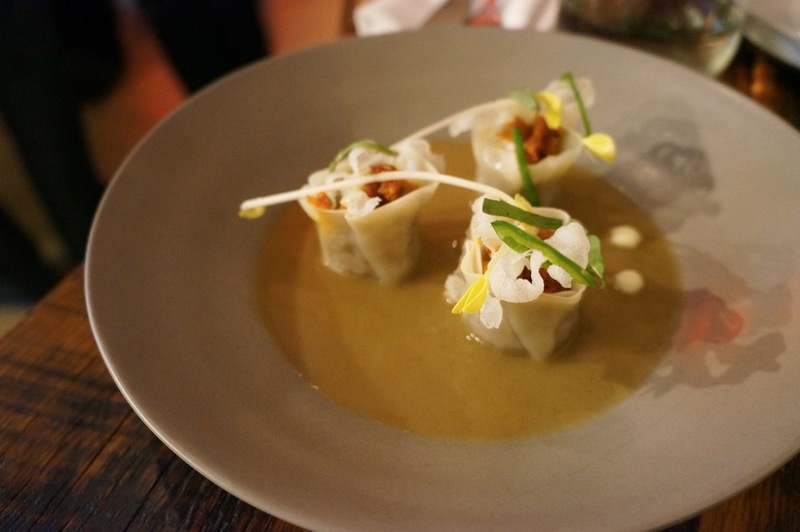 Up next was the Pork Shumai – foie gras pho, serrano ham XO, spiced parsnip ($16). An order came with three dainty bites. The dumplings had a thin delicate skin and despite their small size, they packed quite a bit of flavour into them. We also really enjoyed the foie gras pho broth which sat beneath the shumai – it had an intense foie gras flavour to it. Following the two appetizers was the Udon Noodle – porcini sabayon, rabbit confit, blistered scallions, shiitake ($14). The noodles were prepared like a cross between a stir-fry and pasta and consisted of tender pieces of rabbit. The noodles had a nice chew to them and overall, it was a pretty enjoyable dish. The last savoury dish of the evening was the Grouper Cheeks – black rice, shoyu hollandaise, sea lettuces ($25). I’ve never had grouper cheeks before and they certainly weren’t as delicate as other fish cheeks I’ve eaten. But holy smokes, these grouper cheeks were out of this world! They were on the firm side and had this great bite. 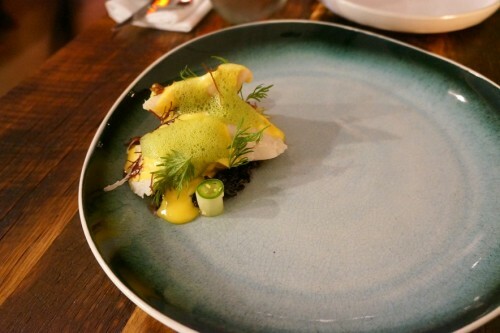 The pairing of the cheeks with the nuttiness of the black rice worked wonderfully and I loved the creamy hollandaise that topped all of it. It was the perfect dish! Since the portion sizes weren’t huge, we had room for dessert. Two, actually! First up was the Chocolate & Mint – dark Aruguani cacao mousse, black mint ice cream, hibiscus, chartreuse ($10). 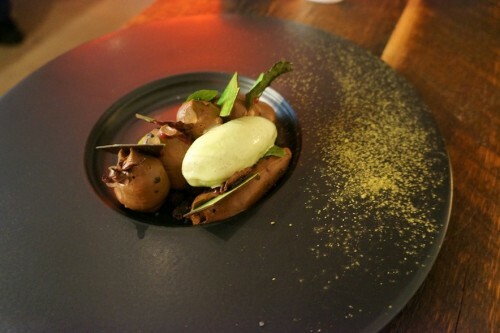 It featured several dollops of an incredibly rich chocolate mousse paired with a refreshing mint ice cream. A nice dessert for chocolate lovers. 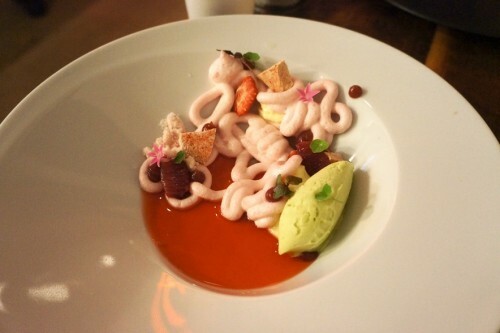 The second dessert we ordered was the Blood Orange – whipped yuzu, soft marshmallow, dried strawberry, avocado sorbet ($10). It was such a playful dessert with the swirls of pink marshmallow and bright green avocado sorbet. It had just the right amount of sweetness and was a great way to end off the meal. Overall, we had a wonderful experience at Alter. We’ve had some great meals in Miami but nothing has ever been particularly exciting until Alter. Do yourself a favour and make a reservation!